We are well into the holiday season, and we've been getting quite a few requests for your favorite holiday hits. These are the most requested Christmas songs on Lite for 2018. 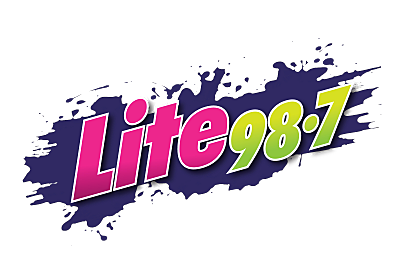 Well, it's been about a month since we started playing Christmas music on Lite 98.7 and now we have a pretty good feeling of what the big holiday songs are this year. This list of the "most popular songs" isn't based of Billboard Charts or other national lists, it's specifically going by how often certain songs get requested during Lunch at the Lite Cafe. Each year, we make one of these lists (and each year it's based on requests). Most of the time, the lists are pretty similar from one year to the next. Except this year. Yes, there are a lot of the same songs, but definitely not in the same "places" (or order). There are a few new ones on the list as well, and those ones aren't even brand new Christmas songs! It's safe to say it was an interesting year for this list. 10. "It's the Most Wonderful Time of the Year"
9. "The 12 Pains of Christmas"
8. "Christmas in the Mohawk Valley"
6. "Rudolph the Red-Nosed Reindeer"
4. "Christmas in the Sand"
3. "Do They Know It's Christmas"
1. "Mary, Did You Know?" But I guess it fits for how 2018 has been going - It has been a surprising, overwhelming, roller coaster of a year! Here's to the rest of 2018 and a happy 2019.